Movin’ on up: In the world of college rankings, it doesn’t get any bigger than US News & World Report. So when your university is praised in the first paragraph of a story in USA Today about the rankings, that’s a good thing—and that’s where Penn State is this morning. The rankings, released at midnight Tuesday, put Penn State as the No. 37 university in the country. Its nine-place jump since last year was among the biggest, helped along by a change in the methodology. There’s less emphasis on who’s admitted, more emphasis on who graduates. Even friendlier skies: That said, as a State College resident, this is the best news I’ve heard in a while: United is beginning non-stop service from the University Park Airport to O’Hare International Airport in Chicago on Jan. 4, 2014. This Centre Daily Times story has all sorts of fascinating details, including that Chicago is the third most popular destination from the University Park Airport and that the flight times were chosen to line up with flights to the West Coast and the Far East because so many Asians live here. 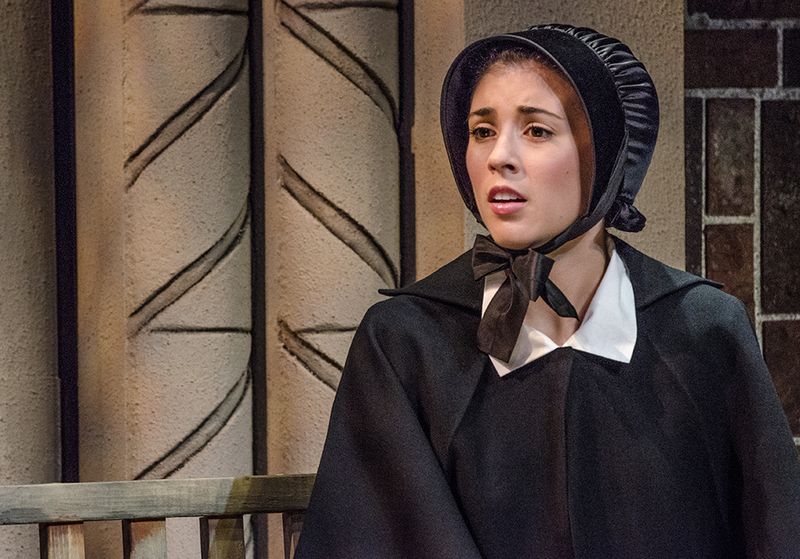 Just a few months ago, Hughes played Sister James in a Penn State Centre Stage production of Doubt. The Voice: I’m not sure the phrase “rave review” is quite strong enough for this: “Her vocals soar to otherworldly heights, ringing out over the audience like a chorus of heavenly bells.” That’s how the Portland Press Herald described the singing of Carly Evan Hughes ’13, who is playing the role of Maria in a production of West Side Story. For the reading list: Khanjan Mehta, director of the Humanitarian Engineering and Social Entrepreneurship program, has a holistic perspective to his profession. That’s evident in his program and also in his new book, The Kochia Chronicles: It’s made up of short stories that provide a window into East African culture, which he says is vital to understand before trying to help. After reading this piece from Onward State, I’m adding the book to my already too long reading list. You may have missed: The World Campus has extended tuition grants to the spouses of military members because, as Ginny Newman, assistant director of Defense Sector Education at Penn State says, the university “recognizes it is the military family that serves, not just the service member.” Our friends at World Campus tell us the grant total is even higher than it was in this news release; for Summer and Fall 2012 and Spring 2013, it has awarded more than $865,000. Entry filed under: Penn State in the News. Tags: Carly Evan Hughes, Khanjan Mehta, University Park Airport, US News & World Report, World Campus.